For Online Sellers registered in the EU, i.e. in Germany, and who are obligated to submit VAT returns to the tax authorities in Poland and/or Czech Republic. If you are not yet registered in Poland and/or the Czech Republic, we can also help you with this by using our registration service for these countries. Immediate communications with local tax authorities via our experienced tax consultants EUR 150,– / Hour If necessary in the case of tax audits or necessary correspondence for late payments/tax penalties, etc. ​In addition to our core services, we can, of course, provide you with additional support on request. 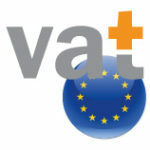 ​Please see here for more information about our European Value Added Tax Compliance services.